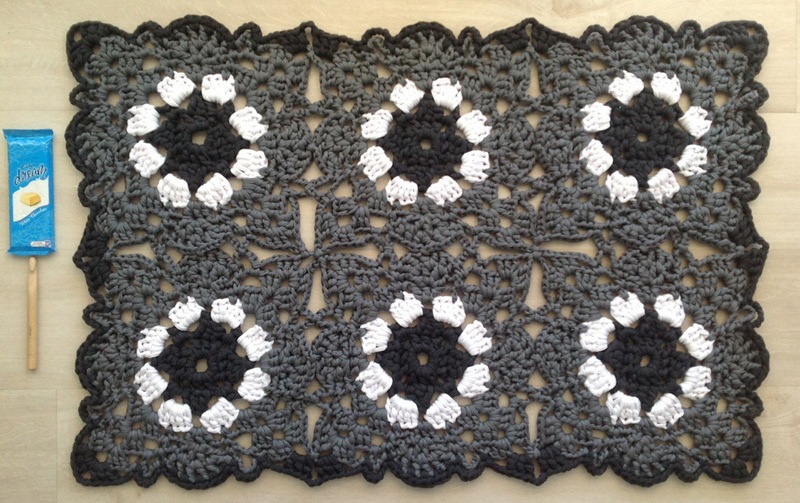 This is day seven of the 5th Annual Knitting And Crochet Blog Week 2014! 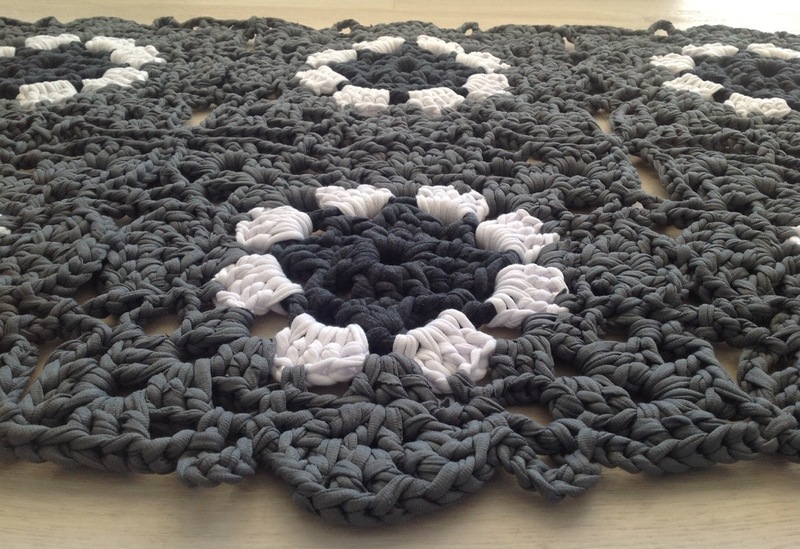 2012 was the year that I started experimenting in crocheting rugs with t-shirt yarn. 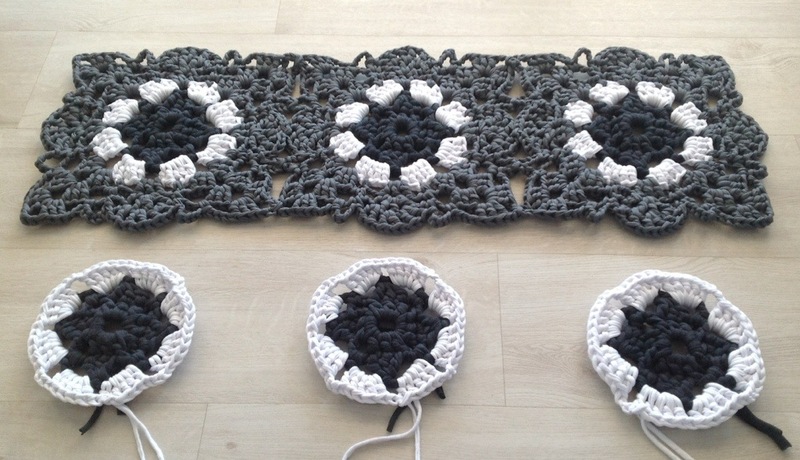 Whilst packing and organising my yarns yesterday, I found three rug WIP’s from long ago. The first pink one with the flowers on the outside was intended for Anya, our little pink princess. I cut leftover fabric and two little fleecy blankets in 1,5 cm strips and crocheted with a 10mm hook. Back then I did not even know you get anything bigger than a 10mm! Let’s see if I can finish that one by next year April! Hahaha! The 2nd 2012 rug WIP was suppose to be covers for our dining room chairs. I started by cutting up 3 old t-shirts and soon discovered that doesn’t bring you very far. At the fabric store I was a bit shocked at the price of t-shirt fabric ! I finished one chair! 5 more to go! The 3rd was an attempt at a heart shaped rug for my daughter’s friend for her birthday. For this one I cut up some trilobal fabric which was about half the price of the t-shirt fabric. As you can see here, no sign of a heart shape! We were still living in Sea Point, Cape Town then. 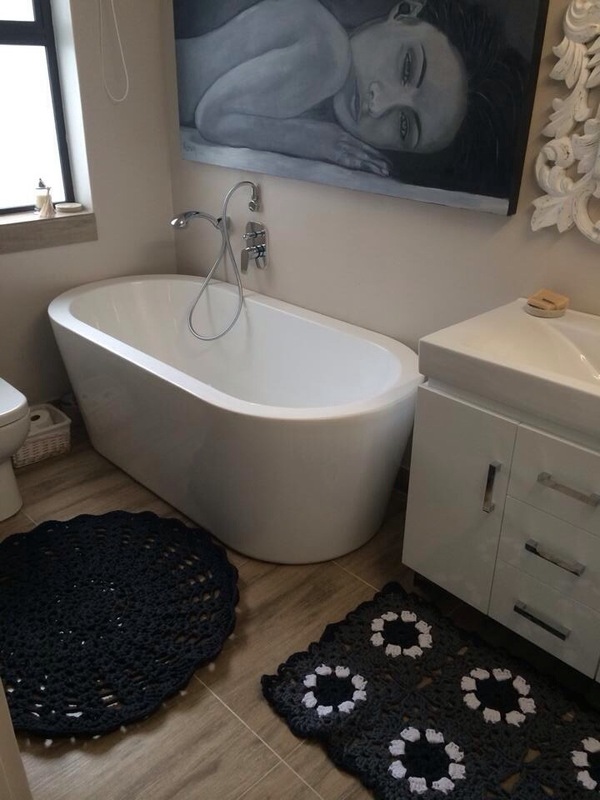 I taught my houseworker to crochet with the idea of her earning extra money. Managed to get her a big order for neck warmers and scarves for a shop in Langebaan. I had great fun searching for the right yarn in every colour of the rainbow. And Patience was very proud of her new found hobby and all the extra money! It was also the first year that I started selling some of my own crochet. There is a farm stall between Vredenburg and Paternoster. https://www.facebook.com/pages/Mondvol-Padstal-Koffiewinkel/373277732719633. 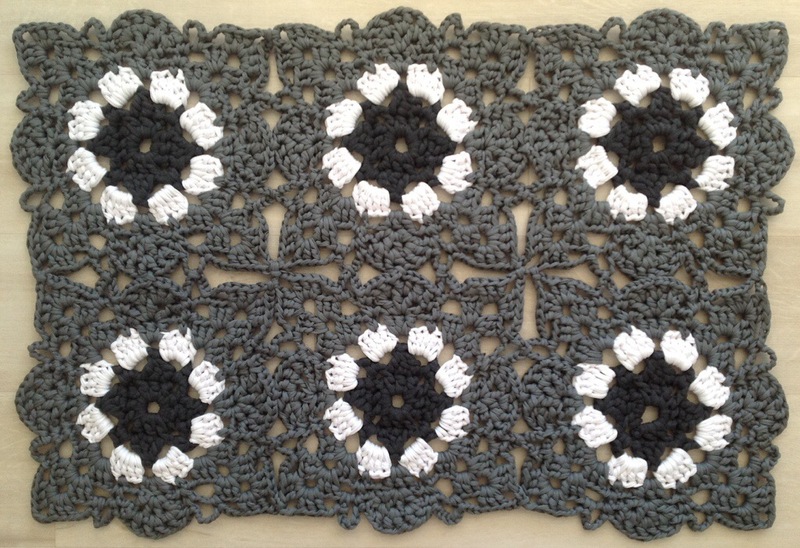 The owner liked and bought some of my crochet motives, bunting and candle holders. And what do us crocheters do with that extra money? Buy more yarn! Yay!  In January we moved house from Sea Point, Cape Town to Paternoster on the West Coast.  In April I discovered that you can buy strips of t-shirt yarn rolled up in a ball and ready for crochet! That was in Vredendal whilst on holiday in Strandfontein. Then the wonderful owner of our LYS started stocking it, and since then I’ve crocheted about 50??? t-shirt rugs. I lost count of exactly how many I made.  I did two markets, one in Vredenburg and one in Langebaan. My reality is that I cannot do a market every Saturday and expect Tobie to look after our two teenagers and the toddler.  I wanted to start a blog called “a Year in Paternoster”. 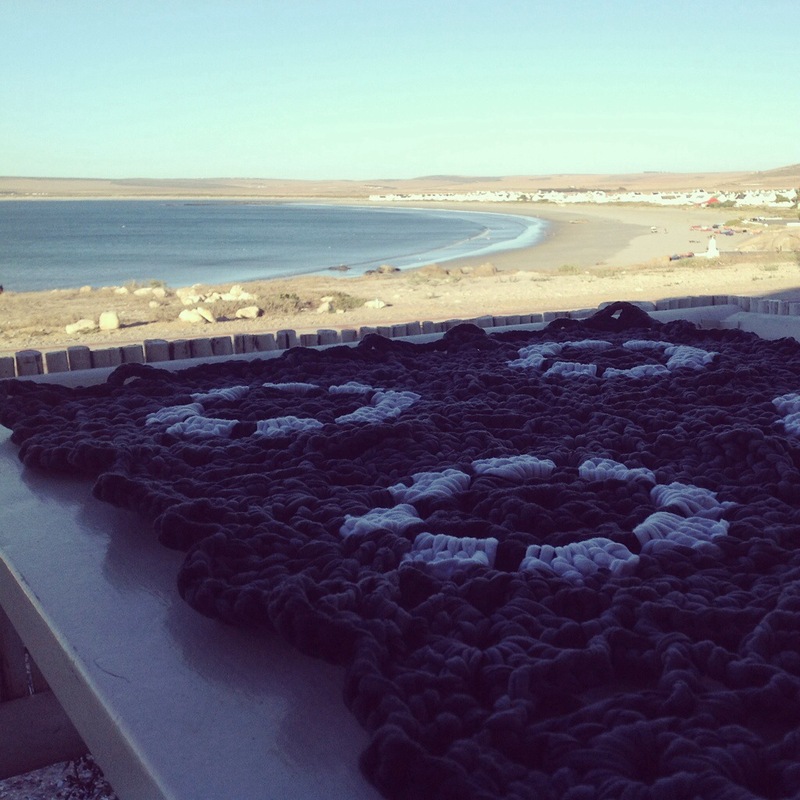 And instead started this blog, Crochet-in-Paternoster, but only went live December. Where do I want to be in April 2015? Right here in Paternoster! 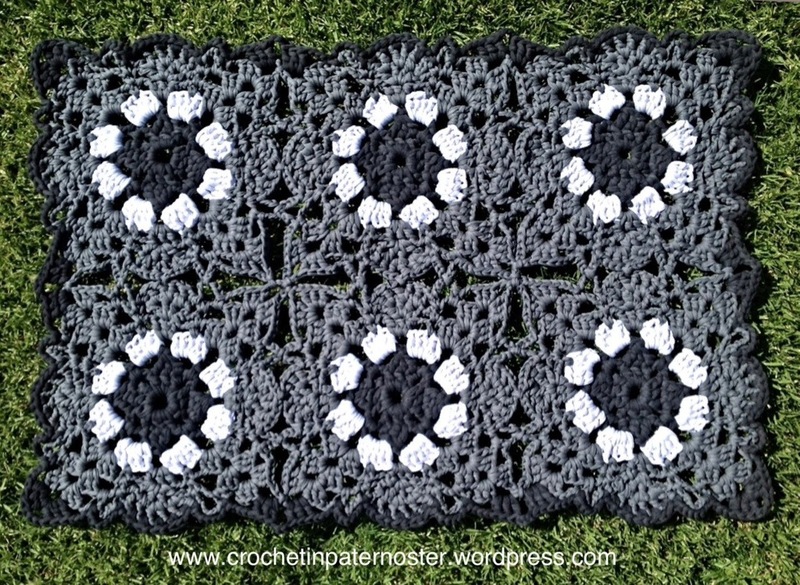  Teach/Train a local or two how to crochet the t-shirt rugs. 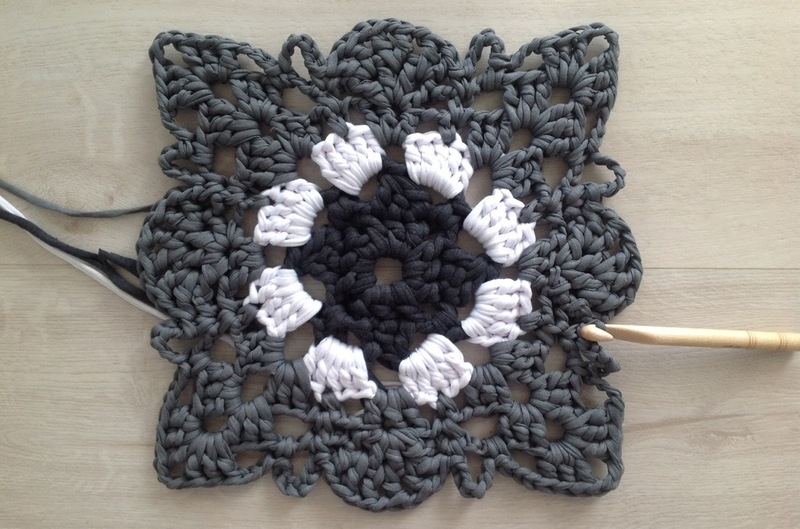 This one is first on my list, because I cannot keep up with the orders all by myself and I really like the idea of enabling people to crochet and earn. The first woman I have in mind works in the mornings. I’m busy with the kids in the afternoon. So there would have to be some major juggling to try and figure out the logistics! Oh! ….. and she can’t read crochet patterns!  Maybe a book on crocheting rugs? Yes! It’s good to dream hey! Now to do all of the above I need to be a bit more organised. Another dream! To be organised! Hahaha! I am extremely thankful for everyone making it possible for me to crochet my dreams away. On top of that list is Tobie, my husband. Then there is my children for putting up with crochet everywhere in the house. And there is Selma and Anthea at the Yarn Shop. And a long list of Facebook friends on my own page and on the groups I belong to.